Barcelona is a magical place 365 days a year, but on the last day of the calendar, the city looks particularly beautiful and elegant. Over the last years, the City of Barcelona has put a great effort so every corner in all neighnorhoods is full of magic, and there are certain unbeatable places where to spend New Year’s Eve. 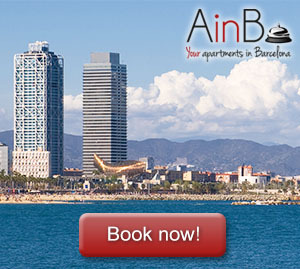 Which are these great places to welcome the New Year in Barcelona? It is the place to be par excellence on this date. Over the last few years it has become, with no doubt, the reference place for this occasion, where many Catalans and the people of Barcelona gather before midnight on the December 31st (and it’s the place broadcasted by the regional television). The Maria Cristina’s Gardens are put on display to welcome the more than 70,000 people who want to eat with a big crowd the traditional 12 grapes of luck to the rhythm of music, light and fireworks that accompany to the always beautiful Magic Fountain in this multitudinous event. The Eixample, the dream of that visionary urbanist (Ildefons Cerdá) who imagined a Barcelona full of islands with its common spaces and gardens, still contains all that community spirit with which it was created (in spite of the urban exploitation that suffers every corner of big cities), and has in its balconies one of its great strengths. Since it will be difficult to find a spot in the prestigious balcony of La Pedrera, what better alternative than welcoming 2017 from our own balcony of the Eixample accessible thanks to our apartment in Sagrada Familia, overlooking the emblematic temple of Gaudí, or thanks to our apartment in Entenza street, overlooking the whole lighting and fireworks show that is celebrated from Montjuïc. 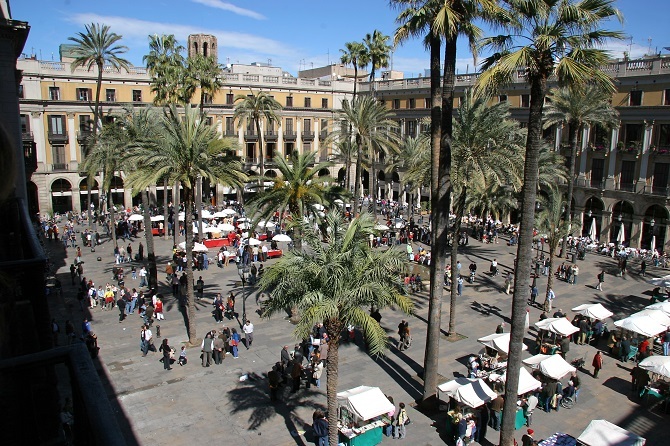 The Spanish Village is the favorite place for university students who spend the end of the year in Barcelona, as well as those tourists who want a complete party until late at night. The plan is perfect from the beginning to the end: stroking bells and grapes “on air” from Plaza Mayor, a “cotillón” (typical party bag that the organization of an event hands in on New Year’s Eve which includes confetti, serpentines, party hats and festive decoration) and several drinks to accompany the night to the rhythm of the best music of the last decades. 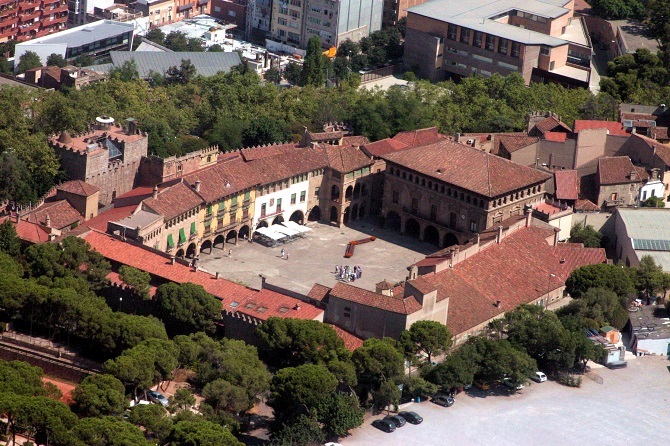 Is there a more welcoming place than a porticoed square in the center of a city? Plaza Real offers everything that is needed for this night in an idyllic and beautiful setting: first class restaurants to enjoy a nice dinner, a place to eat the traditional 12 grapes in good company (remember that the tradition on this date is to take 12 grapes to the rhythm of twelve midnight strokes) and a varied local nightlife where to celebrate and welcome with a good start the New year. If you already know how to start the last night of the year, we can only tell you how to finish the first morning of the new one. There’s nothing better than doing it with a good plunge in the sea to drown our sorrows in San Sebastián’s Beach, where year after year the first dive in the water is organized. There are many locals and tourists who decide to start the New Year with an always gratifying swim in the waters of the Mediterranean. Of course, not recommended if you come to celebrate the party intensely in the nearby area of the Plaza Rosa de los Vientos or in the Maritime Port, which although quite popular, they are not the best places to later end up doing some “sport”. 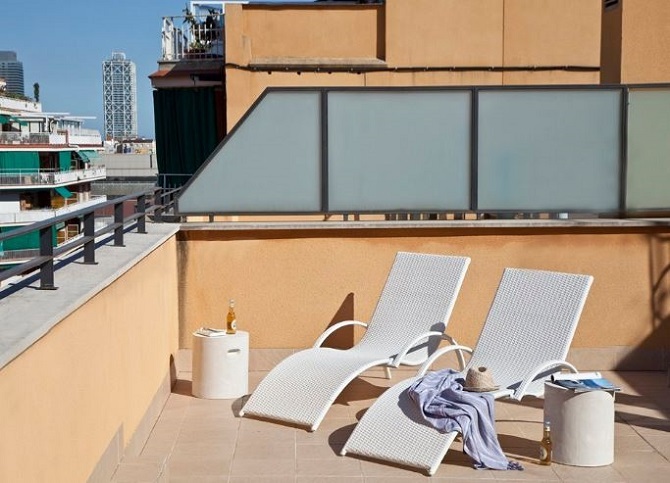 Whatever it is your option to enjoy these especial dates in Barcelona, from the team that makes Apartments in Barcelona we don’t want to say goodbye without wishing you a very happy and prosperous New Year!